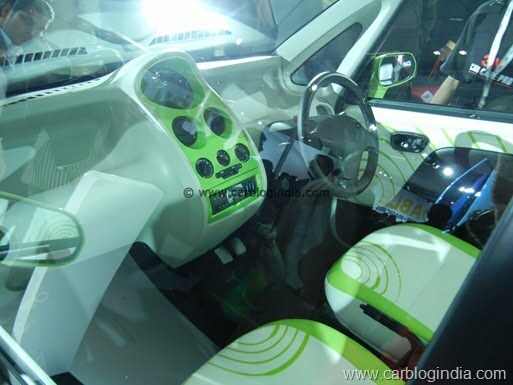 As per the latest updates from our fellow blog IAB, the Nano CNG will launch sooner than we expected. As per their report, thee Tata Nano with factory fitted CNG kit will launch before Diwali which is in November 2012. The Nano CNG will give Tata Motors some additional volumes as running cost of petrol cars is quite high even with a mileage of 20 KMPL. 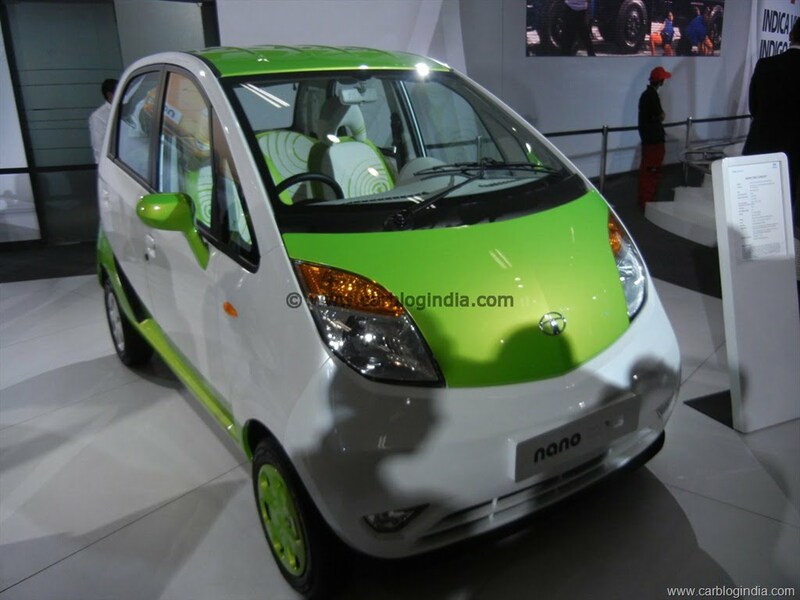 We hope that Nano CNG will help boost the sales volumes of Tata Nano further and it will provide buyers with lower running cost without spending too high on the initial cost and without loosing engine warranty as happens in case of a retro-fit CNG kit. 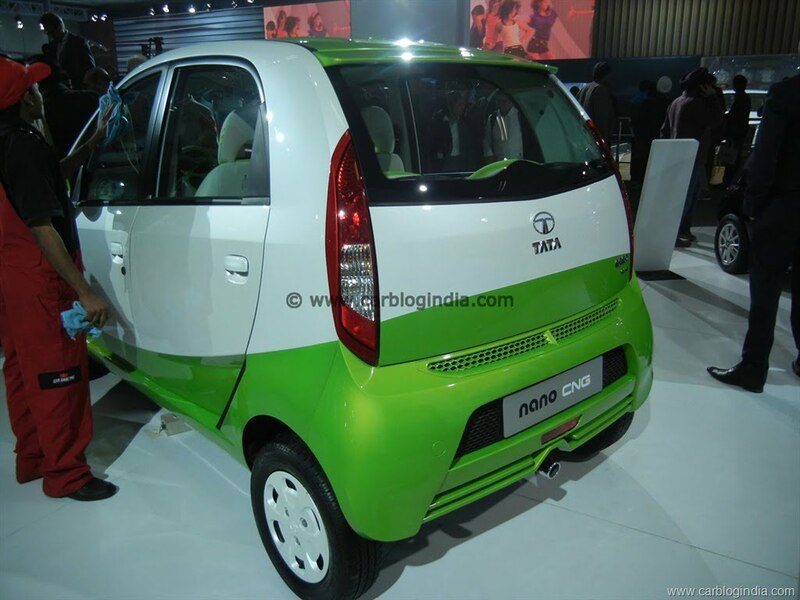 Tata Motors India is working on a CNG version of their popular small car Tata Nano 2012 in India. The Tata Nano CNG will feature the same 624 CC MPFI Petrol engine which will be re-tuned to work with CNG or Petrol Bi-Fuel configuration. Tata Nano CNG will be of the same dimensions as will have same interior space as the Tata Nano 2012 Petrol model which is 3099mm in length, 1495 mm in width and 1613 mm in height. The weight to Tata Nano CNG will be higher at about 710 Kg and it will feature the same transmission and suspensions system as Nano petrol however the suspension will be slightly re-tuned for the extra weight of the CNG system to keep the car stable. The concept version of Tata Nano CNG showcased at the Auto Expo 2012 in New Delhi in January 2012 featured a 15 litre petrol tank with a 35 litre (volume capacity) CNG Cylinder which is the configuration which we may we may see in the Tata Nano CNG to be launched this fiscal (FY 2012-13). The Tata Nano CNG will feature a high quality switchable Bi-Fuel Petrol-CNG fuel system with sequential gas injection system with calibrated EMS for smart switching between the CNG and Petrol. The system will be equipped with safety instructions to cut off CNG in case of any leakages. The CNG kit will be packaged intelligently to not affect the luggage space inside the Tata Nano CNG. Tata Nano CNG will cost about 15 to 20% more than the Tata Nano petrol only model and will offer best fuel economy in the small car segment making Tata Nano CNG one of the cheapest cars to run, second to none but the Tata Nano Diesel which will probably be launched in early 2013 only. We will keep you posted on the developments on the launch of Tata Nano CNG in India. As per the industry sources, the Nano CNG launch is planned for the present financial year 2012-13 (by March 2013). For latest updates, sign up for our free email newsletter and like our official Facebook Page.